Using an old basketball analogy, a panel of transportation and legal officials protected their home court during the SR-710 Community Workshop last week at South Pasadena Middle School, addressing the potential of a tunnel running below the surface of town. The message left by one panelist, Delaine Shane, an environmental planning professional, was to get involved, urging residents to protect South Pasadena from the threat of the proposed 710 Freeway Tunnel. Following the March 6 release of the Draft Environmental Impact Report/Environmental Impact Statement (Draft EIR/EIS), which proposes five alternatives regarding a 4.5-mile gap in the 710 from its terminus just outside the Alhambra city limits to the 134/210 freeway interchange in Pasadena, Shane stressed the importance of 710 opponents to weigh in by attending public hearings for the Draft EIR/EIS and write letters opposing the underground project. A fifth and final public hearing is scheduled for Saturday, June 20, at David Wark Griffith Middle School, 4765 East Fourth Street, East Los Angeles. A map viewing of the project is slated from 10 a.m. – 11 a.m., followed by a formal public hearing from 11a.m. to 4 p.m.
•No Build option that would leave conditions as they are today. •A traffic management system to upgrade and synchronize signals and improvements to local street intersections to more quickly move traffic that exits the dead end freeway. • A rapid bus line featuring high frequency service with minimal stops and potentially a dedicated bus lane. • Light rail to carry passengers between East Los Angeles and Pasadena. Nearly 200 people were in attendance as community members heard from Robert Joe, South Pasadena’s mayor; Antonio Rossmann, special counsel to the City of South Pasadena, who talked about the 710 Freeway’s long history; Margaret Lin, the city’s principal management analyst, who provided an update on the EIR//EIS; Avram D. Gold of the West Pasadena Residents’ Association, who spoke on the potential tunnel boring risks; Jeffrey Tumlin of Nelson Nygaard, who addressed EIR/EIR and the need for a multimodal vision of public transportation; and Shane, who asked audience members to submit comments about the five alternatives either online or through the mail. A dual-bore 8-lane tunnel in today’s dollars would cost approximately $5.6 million, according to Lin, while a single-bore is estimated at about $3.1 million. City officials, questioning the benefits of an underground system, stress a greater need for the multimodal approach, leaning toward light rail, bus use, walking, cycling, and creating a regional bike network, all in an effort to get people to make good use of public transportation, as well as their cars. Gonzalez stressed that the city wants to make sure its on record with its concern by the July 6 deadline, pointing out “deficiencies” he says are found in the 26,000-page EIR/EIS document. The city manager noted, “Our expert consultants have already identified a very flawed purpose and needs statement” in the report, which he believes “predetermines” the freeway tunnel as the preferred alternative. “Caltrans thinks the only way you can solve the problem is by connecting two points with a freeway,” he said. “Since a surface route is no longer on the table, the only way they can connect these two dots is by a tunnel. That in itself is a huge problem. They basically stacked it up where there’s only one answer. South Pasadena City Councilmember Dr. Marina Khubesrian talked about a collective approach to transportation needs and said prior to the meeting that soon “a new initiative for community mobility” will be released in collaboration with many cities, including the 5 City Alliance and several other communities to help ease traffic, improve transportation networks and ultimately lead to better health throughout the corridor. 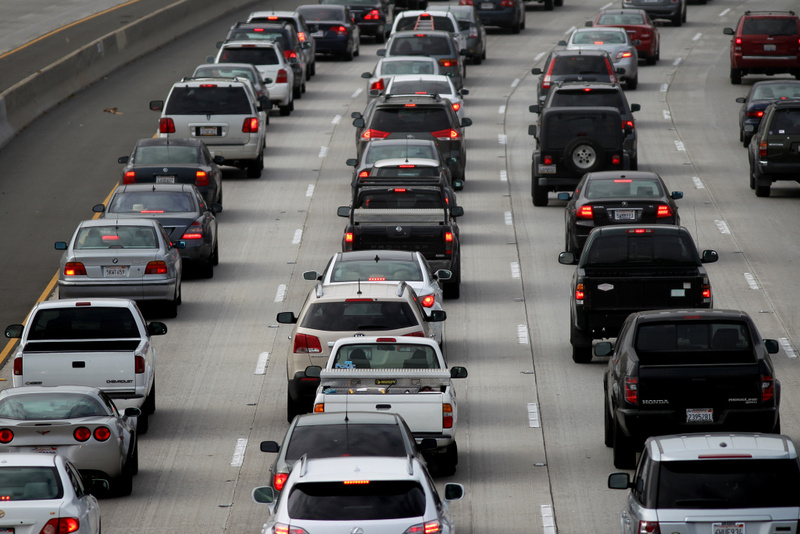 The public comment period for the SR-710 Draft EIR/EIS ends July 6. Comments can be made to: Garrett Damrath, Caltrans District 7, Division of Environmental Planning, 100 South Main Street, MS-16, Los Angeles, CA 90012. A Metro report contributed to this story. An aerial view of Bertha, the SR 99 tunneling machine, as Seattle Tunnel Partners makes repairs in Seattle. The Washington State Department of Transportation (WSDOT) on May 18 posted on its website updates about the SR 99 TBM repair and reports related to ground settlement in the area of vicinity of tunneling activities. 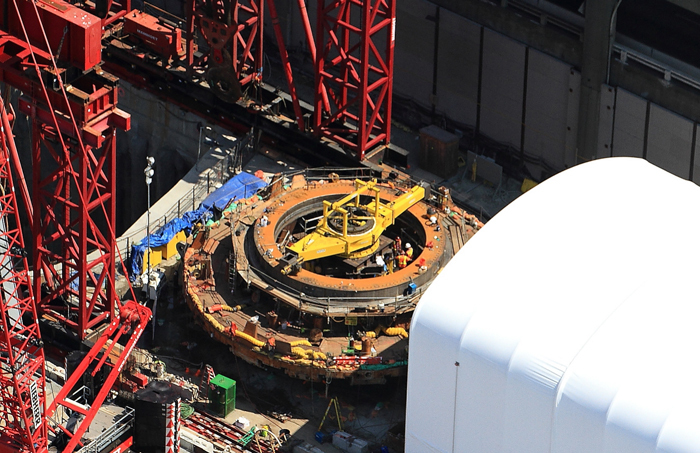 Related to the TBM, Seattle Tunnel Partners has confirmed that disassembly of the SR 99 tunneling machine is complete, and assessment of the damage is ongoing. STP will not provide a revised schedule for resuming mining until they fully understand the scope of repairs, WSDOT reported. STP has indicated that crews will replace the main bearing and outer seals of the machine as expected. STP also decided to replace the inner seals to make them more compatible with the new outer seals and easier to access should the need arise. The new inner seals were designed and manufactured in Japan and are scheduled to arrive in late May. Damage to the machine was more extensive in some areas than anticipated and some minor damage occurred during disassembly. For example, the outer seals and the steel retainers that hold them in place were destroyed. There was also damage to the cutter drive motor pinions and the main bearing bull gear. As owner of the tunneling machine, STP and Hitachi are responsible for all aspects of the repair effort, WSDOT said. After months of study, experts agree: there are no simple answers regarding what caused the ground near the SR 99 tunnel access pit to settle approximately an inch last November. Settlement near the pit and in the surrounding neighborhood was caused by a combination of historic and ongoing natural ground movement in the region, dewatering related to tunneling machine repair work and dewatering related to other construction in the area, according to two reports released by WSDOT. One report, conducted by geotechnical firm Shannon & Wilson Inc. and commissioned by WSDOT, concluded that dewatering related to tunneling machine repairs was the primary cause of the settlement. A second report , conducted by Brierley Associates and commissioned by tunnel contractor Seattle Tunnel Partners, concluded that natural settlement and other dewatering activities are the primary reasons for the settlement, and tunnel-related dewatering only contributed in areas immediately surrounding the pit. Both reports relied on the same data points. The issue began late last year, when the tunnel project’s monitoring system detected settlement in the vicinity of the 120-ft deep pit STP built to access and repair the tunneling machine. In response to the settlement, WSDOT and STP increased the frequency of monitoring – which includes hundreds of instruments near the access pit – and assessed the viaduct and nearby buildings. Both reports demonstrate that settlement related to dewatering has since stabilized; they also agree the ground movement was minor and caused no structural damage. The Shannon & Wilson report, utilizing in part information from satellites, also identifies settlement in areas surrounding the project – in some cases, outside the ongoing monitoring area. Though satellite imagery is helpful to indicate trends, ground monitoring is the most reliable gauge of ground activity, which is why WSDOT’s monitoring program relies mostly on ground sensors throughout the project area. WSDOT and STP are continually evaluating ground conditions and taking proactive steps when needed to prevent further project-related settlement. That includes reviewing existing procedures for reducing dewatering should it become necessary. WSDOT has asked STP and city officials to work with project staff to further analyze the data and conclusions in the two reports to find consensus. The agency is also increasing monitoring in some areas and expanding the overall monitoring program in keeping with the analysis provided in the reports. LA WATCHDOG-The Los Angeles County Metropolitan Transportation Authority, otherwise known as Metro, will most likely place on the November 2016 ballot a measure that would permanently increase our sales tax by a half cent to 9½%, one of the highest rates in the country. If this measure is approved by at least two-thirds of the voters, these new revenues, along with almost $3 billion in existing sales tax revenues, including those from Measure R that was approved in 2008, would help Metro fund over $100 billion in transportation related projects. According to a recent poll conducted for Metro, more than two thirds of the voters supported this new tax, especially when local projects such as earthquake retrofitting of our bridges, tunnels and overpasses, relief from traffic congestion on our freeways, and the repair of our streets and potholes were included in the mix of projects. But the priorities of the voters seem to differ from those of Metro as significant investments are being made in major mass transit projects such as the Gold Line Foothill Extension, the Expo Line Extension to Santa Monica, and the Westside Subway. While the polling questions offered something for everybody depending on where you lived (in one of the seven planning areas) and without any consideration for the cost of individual projects, the poll failed to disclose that 25% of the new revenue would be returned to the local governments. This represents a 67% increase from the 15% Local Return under Measure R, the price extracted by the City from Metro in return for its support. But how will the City allocate the $70 million that it is expected to receive if this new tax is approved by more than two-thirds of the voters. Under the Local Return program for Measure R, there does not appear to be any plan to allocate the $42 million that the City expects to receive next year. Rather, over 30% is kicked back to City to reimburse the General Fund for its costs while 50% is sent to Street Services to help fund its $172 million budget. But the question remains: Does the City deserve a tax increase if it has not agreed to Live Within Its Means, where it is required to develop and adhere to a five year financial plan, to pass two year balanced budgets based on Generally Accepted Accounting Principles, and over the next twenty years, to fully fund its pension plans and to fix our streets, sidewalks, and the rest of our deteriorating infrastructure. The Metro poll was also taken in a vacuum without any consideration for other ballot measures that will lighten our wallets. There is also talk to amend Proposition 13 by asking voters to establish a “split roll,” where commercial properties would be assessed at market value, not the purchase price. This would eventually cost these owners an estimated $6 to $9 billion a year. 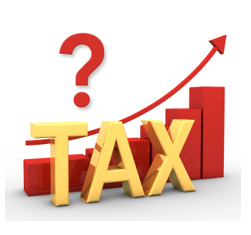 There have also been newspaper reports about increasing the tax on gasoline to help fund the repair of our freeways, a property transfer tax to subsidize low income housing, a big time increase in the cigarette tax, and an oil extraction tax. At the same time, the State is awash in cash as the tax revenues are exceeding expectations by many billions and cap and trade fees are expected to exceed $2 billion. There is also a grassroots effort to authorize $9 billion in bonds that would be used by the State to provide matching funds to local school districts to upgrade their facilities. There is also the possibility that the Los Angeles Unified School District might want some space on the ballot for either a bond offering or a parcel tax. Finally, our City, despite a 6% increase in tax revenues, may also join the parade by asking us to approve a $4 to $5 billion tax hike to fund the repair of our neglected streets and sidewalks. There is also the possibility that the City may attempt to increase our real estate taxes to help fund the $8 billion Stormwater Master Plan that was previously under the control of the County’s Flood Control District. We are also going to be hit up for over $1 billion by our Department of Water and Power which will result in a $150 to $200 million tax windfall for the City. Before we even consider approving these taxes that will impose a $2.5 to $3 billion burden on hard working Angelenos, we must demand that each level of government Live Within Its Means, especially during these robust times when we should be building our reserves to weather the next downturn in the economy. Finally, even though we are one of the highest taxed states in the country, Sacramento, City Hall, and Metro need to realize that we are not their ATM. An interesting new study (above) from the Mineta Transportation Institute looks at total transit ridership along the Expo Line and Eastside Gold Line corridors. 1. Changes in bus service that are coincident with the introduction of new light rail transitcan negatively affect the overall transit ridership in the corridor. The immediate effect of bus service changes along the Gold Line extension appears to be related to net “bus plus rail” ridership declines in that corridor. The net transit ridership effect along the Expo Line corridor was an increase in ridership, possibly because bus service was not reduced by the same magnitude along the Gold Line extension. 2. Households living near new Expo Line light rail stations reduced their vehicle miles traveled (VMT), but those households living near bus stops that were eliminated increased their VMT. This is not definitive, but it suggests the possibility that bus service is a complement to rail transit service, at least for driving reduction. An Eastside Gold Line headed toward DTLA. Photo by Steve Hymon/Metro. Obviously, the study has its limitations, the foremost being that it only looks at a relatively short time frame after both rail lines opened. The latest numbers from Metro indicate overall transit ridership is up along the Eastside Gold Line. If nothing else, the study’s findings suggest buses are an important part of the first mile/last mile solution to getting people to and from rail stations — hard to argue with that. One other issue, I suspect, is that the Eastside Gold Line is relatively short at six miles. The Expo Line travels to the very busy 7th/Metro Center Station in the heart of job-rich downtown L.A. whereas the Eastside Gold Line requires a transfer at Union Station to reach the densest parts of DTLA. Related: Metro in 2012 also looked into similar issues in a staff report and found that overall ridership increased in four rail corridors studied: the Blue Line, the Red Line, the Green Line and the DTLA-Pasadena Gold Line. In the case of those four rail lines, Metro found that ridership overall increased in the respective corridors even with significant changes to bus service after the rail lines opened. Again, not a shocker — all those rail lines are high capacity, frequent and high ridership lines. LOS ANGELES, CA - APRIL 25: Morning traffic fills the SR2 freeway on April 25, 2013 in Los Angeles, California. The nation's second largest city, Los Angeles, has again been ranked the worst in the nation for ozone pollution and fourth for particulates by the American Lung Association in it's annual air quality report card. Ozone is a component of smog that forms when sunlight reacts with hydrocarbon and nitrous oxide emissions. Particulates pollution includes substances like dust and soot. Environmental groups have sued the Environmental Protection Agency for failing to meet a deadline to decide whether to approve a soot-reduction plan by local air regulators. The South Coast air basin has some of the worst air quality in the country for fine particulate matter (PM2.5), also known as soot. The material is produced from diesel exhaust and industrial activities and has been linked to a host of health issues, including heart and respiratory problems. In 2006, the EPA decreased the acceptable amount of soot in the air. The South Coast air basin has not achieved the required reductions and was designated to be a "nonattainment area" in 2009. The South Coast Air Quality Management District (SCAQMD) submitted a reduction plan to the EPA in February 2013, initiating an 18-month deadline for the agency to give final approval. The lawsuit filed by Earthjustice on Wednesday, on behalf of the Sierra Club and Physicians for Social Responsibility, Los Angeles, claims the EPA has failed to meet its responsibility and seeks to force the agency to make a decision. An attorney for the plaintiffs said that such delays are common within the EPA. “The trend that we’re seeing is EPA is, more often than not, tardy in processing these plans, and so we’re kind of forced to take them to court to call to question and start the debate on whether the particulate plan in the LA region is good enough,” said Adrian Martinez, a staff attorney with Earthjustice. Martinez said that his clients are dissatisfied with SCAQMD's proposed soot reduction plan, because it relies too heavily on natural processes like rain to remove soot from the atmosphere. “What we want are real measures to crack down on large sources of soot pollution, things like measures to control pollution from warehouses, ports and large industrial facilities like refineries and natural gas power plants,” he said. Marta Stoepker, a spokeswoman for the Sierra Club, said that her organization would prefer that the EPA require the SCAQMD to change its plan. It's likely at least some of the plaintiffs would fight an approved plan that does not address their concerns. In the meantime, Stoepker said their hands are tied. “It just takes longer for us to do anything, so we’re sitting in this purgatory,” she said. A spokeswoman for the EPA said the agency does not comment on litigation.